An exciting illustrated book that answers questions such as “who were the ancient Egyptians?” “why did they build pyramids” and “how were mummies made?”. 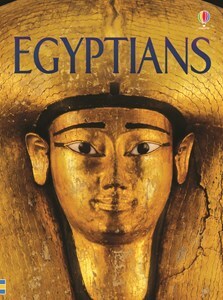 With short, informative text, vivid, full colour illustrations and photographs of Ancient Egyptian artefacts on every page. Includes internet links to age-appropriate websites with games and activities to find out more. This book is very informative and my daughter, age 7, finds it fascinating. It presents history in a child friendly way.